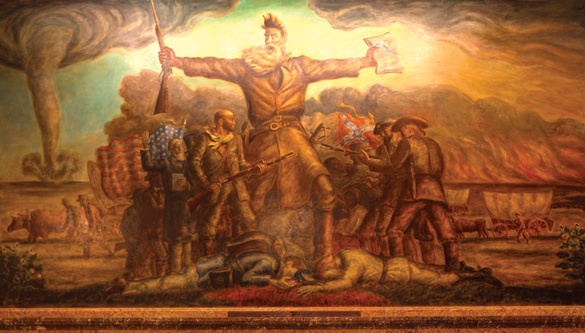 The John Steuart Curry murals are one of the 8 Wonders of Kansas Art because Curry was one of the greatest American regionalist painters and, despite great controversy; he considered the murals in the State Capitol his greatest work! Tour Curry's boyhood home at Old Jefferson Town in Oskaloosa on South U.S. 59. See some of his well-known works plus pictures of his family, his paintbrushes, copies of famous books that he illustrated, and more. Call for an appointment, 785.863.2070 or 785.863.3118.